Welcome to some weekend fun and entertainment with drones. We spend a lot of time scouring the web for news, information and more on all the great drones around the globe. In our travels, we encounter some fun and funny stuff, and we want to start sharing that with you. 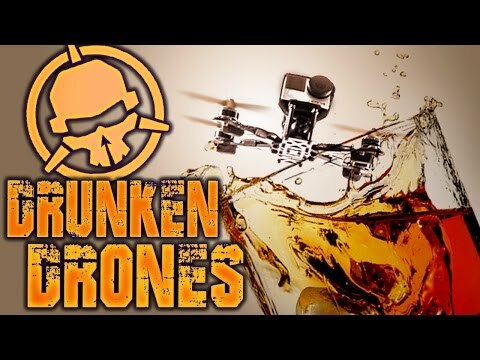 Today we will be taking a look at mixing drones and alcohol. 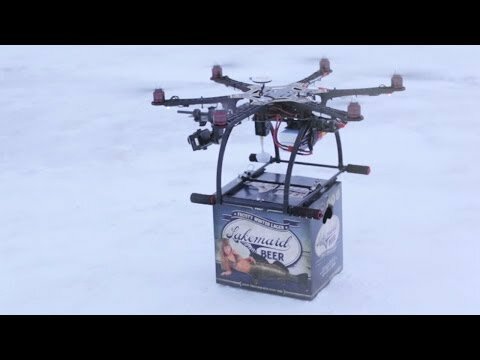 Next up in our series, let’s explore some fun with drones and alcohol. We’ll see a take on using a drone to further your alcohol consumption, the other is what happens when you consume and try to fly. We’re not just saying this for safety. Please be aware that it is illegal to fly your drone while under the influence. The FAA requires a maximum blood alcohol level to fly, and you must not take off less than eight hours after your last drink. Note that the team in the video below is keeping it legal by flying indoors. The FAA does not have jurisdiction inside of buildings, they only look to protect the NAS. The team also took many safety precautions. Had they not done these things, we wouldn’t be sharing this video. As for the beer delivery, please do keep in mind the requirement for a commercial part 107 license to fly for pay, and the line-of-sight rules. Otherwise, good to go! Drone delivery has been a hot topic for the last couple of years and this gets us even more excited for it. Being able to get food or drinks delivered to you quickly will be one of the best things to come. You come home and realize you’re out of beer, you get onto your phone, open the Amazon app and boom, your beer is delivered to you within the hour. Please drink responsibly and we don’t recommend you drink and drone. This video shows the power that racing drones have along with the effect that drinking has on the ability to be able to fly drones. As much fun as they are having in the video, this is highly not recommended and should not be recreated at home.